This entry was posted in Achluphobia, Artist, Author, Books, Catoptrophobia, Darkness, Eisoptrophobia, Empath, Facebook, Faith, Fear, Ghosts, Halloween, Horror, Instagram, Kindle, Meditation, Novels, Obsessive Compulsive Disorder (OCD), Open Minded, Paperback, Paranormal, Paranormal Researcher, Phasmophobia, Phobias, Poet, Samhainphobia, Sheila Renee Parker, Specific Phobia, Spectrophobia, Spirit, Spirit Guides, Supernatural, The Spirit Within, Twitter, Wicca, Wiccan, Wiccaphobia, Witch, Witchcraft, Writer and tagged Achluphobia, Artist, Author, Books, Catoptrophobia, Darkness, Eisoptrophobia, Empath, Facebook, Faith, Fear, Ghosts, Horror, Instagram, Kindle, Meditation, Novels, Obsessive Compulsive Disorder (OCD), Open Minded, Paperback, Paranormal, Paranormal Researcher, Phasmophobia, Phobias, Poet, Samhainphobia, Sheila Renee Parker, Specific Phobia, Spectrophobia, Spirit Guides, Spirits, Supernatural, The Spirit Within, Twitter, Wicca, Wiccan, Wiccaphobia, Witch, Witchcraft, Writer by SheilaReneeParker. Bookmark the permalink. Who knew there were people out there that feared their own reflection! I thought that was something only my dog suffered from. He hates seeing himself in the mirror! If you hold him and make home look he gets sad/nervous and will look anywhere else. His poor little brain can’t figure it out. Awww…. poor little guy…. so sweet! You are so awesome, thank you, Vincent!!! I guess anything unknown or can’t easily be seen can cause fear – can’t see the bottom of the water can cause fear to jump into the water. It can be uneasy feeling to be in the water and feel that way. Not really. Hallowe’en (as it should be spelled, meaning All Hallows’ Eve) is a Christianised pagan festival, nothing to do with kiddies dressing up and ‘threatening ‘ people for sweets. It was thought to be a time when the veil between the world of the living and that of the dead is at its thinnest, and the dead, including evil spirits, can walk the world of the living. 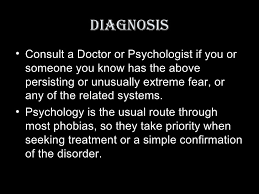 Definitely a time to fear, and I guess those suffering from this phobia are thinking of just that. Isn’t it more ….like they might have a sensitivity to things shifting around them. Could be electro magnetic..Sometimes if there’s a person around them that understands it they can be trained to use it in the right way -like a skill…or strength not something that makes them feel crazy. just curious.